Prior to academia, Dr Susan Leong served in various roles in different industries in Singapore, Indonesia as well as Australia. Her professional experience includes 5 years as a small business owner, 10+ years in advertising and marketing, a fair few years in production engineering, site coordination and even, fire protection! Over the years, Leong has been employed as a draughtsperson, production supervisor, site supervisor, copywriter, creative group head and marcom executive. 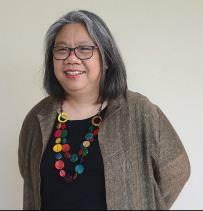 Leong completed her doctoral thesis on the implications of new media for the nation of Malaysia in 2008 and published her monograph book, New Media and the Nation in Malaysia with Routledge in 2014. As a result of her varied work and life history, Leong’s approach to both research and teaching is interdisciplinary and collaborative. Overall, there are two main trajectories that run through her research and teaching work: (1) Digital Media in Asia and (2) Migration/Diaspora studies. Leong was appointed Co-editor of the book series, Media, Culture and Communication in Asia-Pacific Societies with Rowman and Littlefield International and Associate Editor of Transitions: Journal of Transient Migration (Intellect) in 2015. In 2016 she was the ECR representative on the management board of The Australia-Asia-Pacific Institute, AAPI in 2016, Co-convener of Precarious Times: a 1-day Interdisciplinary Symposium, Perth, Curtin University on 6 December, organised the public screening of The Borneo Case and a public talk by Zunar in Perth, Western Australia. Most recently she delivered the keynote addresses, ‘Regarding China...from Singapore’, Internet and Media in Singapore Research Workshop, held on 14 September 2018 at Murdoch University. Singapore and; ‘Mobility, Sovereignty & Social Imaginaries: Shaping Socio-technological Relationships’, 10th International Students and Scholars’ Conference, Universitas Gadjah Mada on 30-31 October 2018 at Yogyakarta, Indonesia. Dr Susan Leong’s broad area of research interest is in Digital Media in Asia, with a focus on Malaysia, Singapore, Indonesia and China. This includes the implications of digital media use/non-use for the nation-state and diasporas. In recent years she has also been developing a project concerned with Internet governance and sovereignty, especially as it related to China’s increasing influence on the issue. This project investigates how digital platforms and technologies are enabling Chinese culture and ideas to reach the world. It argues that while China's global cultural presence has increased it is yet to be seen as an innovative nation. The project examines how the Chinese government’s internet+ strategy is changing power dynamics among political institutions, commercially motivated digital companies, and online communities. Through investigating internationalisation strategies and consumption of Chinese culture on digital platforms in China, Australia, Hong Kong, Singapore, Malaysia and South Korea the project contributes to understanding the implications of China's digital ascendency and the lessons for Australia in the post-resources boom era. This study seeks to leverage the cultural fluency of two groups of Chinese-Australians – professionals and business migrants – to bridge the gap in knowledge about local language, culture and business practices that hinders Australian small and medium entrepreneurs from exporting to China. Dr Susan Leong has a Diploma in Engineering from the Singapore Polytechnic and although she started working life as a site supervisor, later on in life her pursuit of learning earned Leong a BA in Mass Communication in 2003, a First Class Degree in Internet Studies in 2004 and a Doctor of Philosophy in 2008. In addition to the above, Leong also holds a Postgraduate Certificate in Research Commercialisation and a Diploma in Visual Communication. Leong began teaching while working on her honours degree in 2003 and had so far taught at four institutions, including Curtin University, Murdoch University, Curtin College (Western Australia), QUT (Queensland). Her main teaching areas are Internet Studies and Digital Media in Asia but in 2018 she extended her repertoire to include Asian Studies at Murdoch University. At Curtin College and Curtin University (2003-2009, 2013) Leong taught the units: Asian Media in Transition, Internet Politics and Power, Internet Policy, Regulation and Governance and A Socio-technological Introduction to the Internet. At QUT (2010-2013) she designed and taught the units, Internet, Self and Beyond at QUT and Exploring New Media Worlds (under/postgraduate). Aside from Media and Communication Studies, units developed by Leong has also been delivered to students in Information Studies as well as Education, Psychology, Public Health and Law. In short, her teaching expertise stretches from digital/new media in Asia, socio-technological studies, communication and media studies. Leong, Susan (2014). New Media and the Nation in Malaysia, London: Routledge. Leong, Susan (2018). Perth Calling: Media, Mobility & Imaginaries in Gomes, Catherine & Yeoh, Brenda (eds.) Transnational Migrations in the Asia Pacific. London: Rowman & Littlefield International, pp. 175-200. Leong, Susan (2016). Is ‘Allah just for Muslims’? : religion, indigenisation and boundaries in Malaysia in Gomes, Catherine (ed.) The Asia Pacific in the Age of Transnational Mobility: The Search for Community and Identity on and through Social Media. New York: Anthem Press, pp. 119-141. Leong, Susan (2016). Provisional business migrants to Western Australia, social media and conditional belonging in Sun, Wanning and Sinclair, John (Eds.) in Media and Communication in the Chinese Diaspora: Rethinking Transnationalism. London: Routledge, pp. 190-209. Leong, Susan (2016). A right and not a privilege: freedom of expression and new media in Malaysia in Hjorth, Larissa and Khoo, Olivia (Eds.) The Routledge Handbook of New Media in Asia. London: Routledge, pp. 155-164. Leong, Susan & Qian, Gong (2012). Provincialising Perth? : Satellite television and the Chinese in Perth in Ghosh, Devleena, Mason, Robert, & Hayes, Anna (Eds.) Cultures in Refuge: Seeking Sanctuary in Modern Australia. Ashgate, Farnham; Burlington, VT, pp. 133-149. Leong, Susan, Mitew, Ted, Celletti, Marta, & Pearson, Erika (2012). The questioning concerning (Internet) time in J. Hughes (Ed.). SAGE Internet Research Methods. London: Sage, pp. 363-381. Leong, Susan (2009) Virtual diasporas & the dilemma of multiple belongings in cyberspace in Baker, Janice, Fordham, Helen, Greiller, Jane, Houen, Christina, Kerr, Todd, & Reid, Anja (Eds.) Provoking Texts: New Postgraduate Research from the Edge. Curtin University of Technology, Online. Leong, Susan (2008). Looking through the corridor: Malaysia and the MSC in Lim, David C. L. (Ed.) Overcoming Passion for Race in Malaysia Cultural Studies. Brill, Leiden, The Netherlands, pp. 83-108. Leong, Susan (2018). The Prophets of Mass Innovation: the Gospel according to BAT. Media Industries, 5 (1), pp. 69-87. Leong, Susan & Woods, Denise. (2017). ‘I don’t care about Asia’: Teaching Asia to Australia. Journal of Australian Studies, 41 (3), pp. 367-379. Leong, Susan (2016). Sinophone, Chinese and, PRC Internet: Chinese Overseas and the PRC Internet. Asiascape: Digital Asia, 3 (3), pp. 117-137. Leong, Susan, Kerr, Thor & Cox, Shaphan (2016). Façades of difference: from High Road to High Street. Thesis Eleven, August (135), pp. 1-19. Leong, Susan (2015). Franchise nations: A framework for analysing the roles new media play in Chinese provisional business migration to Australia. Crossings: Journal of Migration and Culture, 6(1), pp. 103-119. Leong, Susan (2012). Sacred cows and crashing boars: ethno-religious minorities and the politics of online representation in Malaysia. Critical Asian Studies, 44(1), pp. 31- 56. Leong, Susan (2011). No longer Singaporean. Continuum: Journal of Media & Cultural Studies, 25(4), pp. 559-572. Leong, Susan (2009). Franchise nations: the future of nations? Continuum: Journal of Media and Cultural Studies, 23(6), pp. 855-870. Leong, Susan, Mitew, Teodor, Celletti, Marta, & Pearson, Erika (2009). The question concerning (internet) time. New Media and Society, 11(8), pp. 1-19. Leong, Susan (2009) The Hindraf Saga: media and citizenship in Malaysia. In Flew, Terry (Ed.) Communication, Creativity and Global Citizenship: Refereed Proceedings of the Australian and New Zealand Communications Association Annual Conference, QUT, Queensland University of Technology, Kelvin Grove. Leong, Susan (2016). ‘What they DON’T tell you before you embark on a PhD’. Australia-Asia-Pacific Institute Research Review, January-March, p. 9. Leong, Susan (2015). Review of Insider Research on Migration and Mobility: international perspectives on research positioning, ed. Lejla Voloder and Liudmila Kirpitchenko, Crossings: A Journal of Migration and Culture, 6(1), pp. 123-125. Catherine Gomes, Olivia Guntarik and Susan Leong (2015), “Editorial,” Transient Migrants: Identities, Social Networks and Social Media, Special Issue, Crossings: A Journal of Migration and Culture, 6(1), pp. 3-5. Leong, Susan and Gomes, Catherine (2012). Teaching Asia to Australia: It’s not just about languages, The Conversation. Available online at: http://theconversation.edu.au/teaching-asia-to-australia-its-not-just-aboutlanguages-9724. Keane, M., Yu, H., Leong, S., Yecies, B. & Zhao, J., 2017-2019: Digital China: from Cultural Presence to Innovative Nation. ARC Discovery, DP 17010217, AU$249,500. Leong, S., Baulch, E., Ambardi, K. & Kerr, T., 2018: Publics & Policy: Island and Waterfront Reclamation. Monash University Malaysia internal grant, RM6,900. Leong, S., Deng, L. & Keane, M., 2017-2018: Harnessing Australian-Chinese Cultural Fluency to Bridge the Export Gap (利用澳大利亚华人的文化熟知度弥合澳大利亚中小企业的对华出口差距). Australia-China Council, ACC00832, AU$19,990. Potential areas for PhD supervision: digital media in Asia, especially in Malaysia, Singapore, China and Indonesia. This can include issues such as internet use and non-use, internet governance and policy, the socio-technological relationship and diaspora/migrant use of digital media. Another potential area includes the study of precariousness as it relates to employment, technology and conditional belonging.